Today Superintendent Jesús Aguirre announced the winners of Seattle Parks and Recreation’s 2016 Denny Awards for Outstanding Volunteer Stewardship. The winners are a cross-section of Seattle’s most creative, dedicated and hard-working volunteers who donate precious time and energy to improving Seattle’s parks and recreation programs. Leon Preston has served for more than 10 years as a Taekwondo teacher for participants ages 6 to adult at Garfield Community Center. Students from Leon’s program have competed in meets around the world. Leon’s goals while working with youth are to build life skills, self-confidence, leadership skills and compassion, and to promote racial understanding and engage at-risk youth. Leon has been teaching and practicing Taekwondo for 40 years and was a 2008 Olympic Games referee in Beijing, China. Leatha Bailey has volunteered for ten years as a Sound Steps walk leader, helping over 100 mostly senior walkers improve their health. Leatha helps support healthy people in the community by teaching behavior change, encouraging participants to lead a healthy lifestyle, transporting those who can’t walk to activities, and presenting at health fairs. For more than 20 years, Tom has removed invasive plants and planted native species to help restore acres of forested parkland at Magnuson Park. Tom has led hundreds of work parties with both students and corporate groups. In total, Tom has led 15,000 hours of volunteer work and planted 11,000 native trees and shrubs. This year, Tom’s quick action with CPR saved the life of a Forest Steward who had a heart attack at Magnuson Park. Tom is also a mentor for the UW Restoration Ecology Network Program. East African Senior Meal Program volunteers at Yesler Community Center grow food at the Rainier Beach Urban Farm and bring it to the community center to cook and share with others. Over the past seven years, the Senior Meal Program has grown from only Ethiopian/ Eritrean elders to include Asian, Caucasian, mixed and African American backgrounds. The program helps elder adults access free, healthy, homemade and traditional food. For more than 20 years, the Rainier Community Center Advisory Council has supported countless volunteers, special events and fundraisers to encourage new, diverse programs for community members in this multicultural neighborhood.Council volunteers have helped to not only advise Seattle Parks and Recreation staff but also to be proactive in recruiting new members, creating new events, supporting new community initiatives like Rainier Valley Radio and Community Kitchens. Andrew has donated his time and materials as an artist to engage Lake City Young Leaders Teens in making murals to highlight the diversity of the neighborhood. 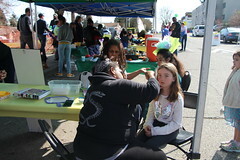 Lake City Community Center volunteers are helping Seattle Parks and Recreation engage teens in cultural placemaking in Lake City. Carol has advocated and raised resources so that diverse children from low-income families who live in the Solid Ground housing at the Magnuson Campus can take part in programs. Carol has created partnerships with Sand Point Elementary and their Parent Teacher Association, has tutored young children and taught parents how to apply for scholarships, and has advocated for an expanded Magnuson Park Community Center with more program hours. Nancy and her husband Steve joined Lifelong Recreation’s Sound Steps walking program in 2007, and they founded the Sound Striders in South Seattle walking group in 2008. When Nancy’s husband was diagnosed with dementia, they decided to continue their walks and connect with others dealing with this loss by providing walk participants with stimulation and a supportive community. The committee decided to recommend Nancy for the Equity Champion award because inclusion for all abilities is an important part of social equity. Founded in 1978 with the sole mission to provide comprehensive health and human services to families in Washington State, Sea Mar Community Health Center is a supremely reputable community-based organization that has honed its services and ties to South Park by positively impacting the health and wellness of its patrons though the execution of case management, medical, dental, as well as behavioral health services. Leveraging Preventative Health Programs as well as Community, Education and Service Learning Programs that aim to increase the healthy eating habits amongst its clients, this organization engages in a plethora of program services that help South Park build a sense of community. In building that community, this organization has partnered with the South Park Community Center to extend its recreational and preventative health services. These services include not only a Soccer Preventative Health Program that serves an average of 235 youth annually, but also cooking programs, health education services and fitness activities that reach upwards of 1,500 community members annually. Seattle Parks and Recreation is extremely grateful to the thousands of people who dedicate themselves to supporting healthy people, a healthy environment, and strong communities. The Denny Awards are named after David T. and Louisa Denny, who in 1884 donated land for the first Seattle park (Denny Park), where Seattle Parks and Recreation headquarters is located. 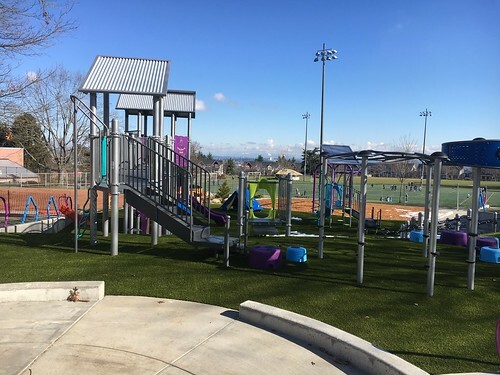 Seattle Parks and Recreation gratefully acknowledges Denny Award sponsors and supporters: ARC, Seattle Park Foundation, and Parker Design House. This week, Seattle Parks and Recreation is privileged to honor nine individuals and organizations who graciously donated their time to our parks system this year. We would like to congratulate all of the winners of this year’s 2014 Denny Awards and thank them for their service to Seattle Parks! The Denny Awards acknowledge and honor the crucial role volunteers play in neighborhood parks, community centers and recreation programs throughout the city. 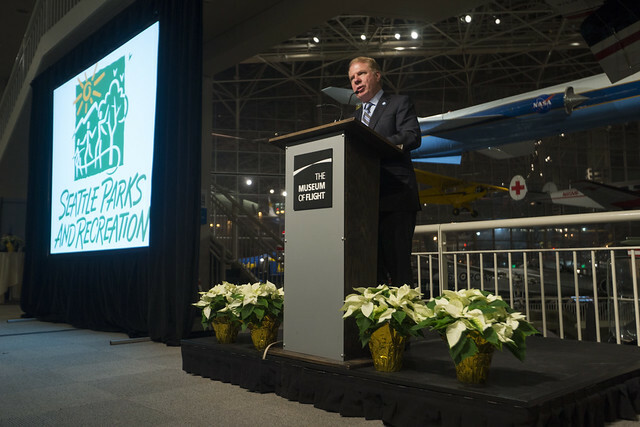 In 2013, 41,244 people volunteered for Seattle Parks racking up 368,448 hours of service. Though the volunteers’ efforts are invaluable to the department, the Corporation for National and Community Service estimates that the value of a volunteer’s time in Washington is $22.69 per hour. That means in 2013, volunteers donated $8,360,085 worth of time to Seattle Parks! Rich Appleton has been volunteering with Seattle Parks and Recreation since 1995. He has been the main volunteer at Nora’s Woods in Seattle’s Central Area since the park’s inception 18 years ago and has continued monthly and annual work parties there ever since. Rich has also been an active volunteer and leader at the nearby Leschi Natural Area since 2000. Nora’s Woods previously was overrun with blackberry, ivy and other invasive plants and was frequently used as an illegal dump. Rich and other volunteers worked to transform the area into a beautiful neighborhood park, spending hundreds of hours removing invasives, and planting trees, shrubs and other plants. They also installed stairs, benches and walkways. Rich has also worked with other park stewards to restore the Leschi Natural Area, participating in work parties since 2000. He works at Leschi every week and at Nora’s Woods every other day. 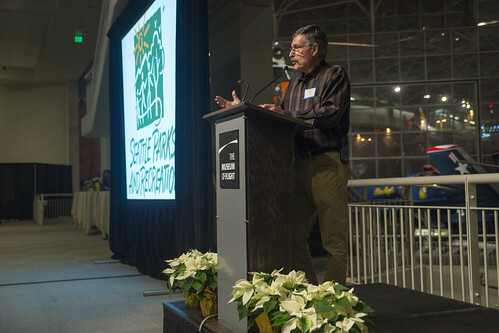 Former Seattle Parks and Recreation Superintendent Ken Bounds’ contributions to the city’s parks system were well known during his tenure as the department’s leader in the 1990s and beyond. But Ken’s passion for Seattle parks has extended well into his retirement. Most recently, Ken was instrumental in the establishment of the Seattle Park District, which secured a stable and sustainable source of parks funding that is the envy of cities around the country. Ken first explored the funding option when the department under his direction put together the 2000 Pro Parks Levy. After he retired, Ken continued to work on the idea and when Proposition 1 went on the ballot in 2014, Ken agreed to serve as chair of the campaign committee, leading a sophisticated campaign on a topic that became a hotly debated issue in the community and in the media. 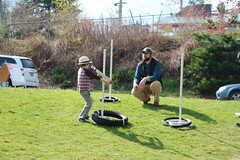 A senior at Roosevelt High School, Samuel Bradley has volunteered with Seattle Parks and Recreation for the past two years. While he could have spent his last two summers working or doing what typical teenagers do, Sam instead chose to volunteer with Specialized Programs’ summer camp for youth with disabilities, helping provide a camp experience for kids who may not have been able to attend a typical summer camp. In the spring of 2014, Sam also volunteered with Parks’ Special Olympics youth track and field program. At summer camp, Sam provided invaluable support to counselors and directly engaged with campers with disabilities. He helped with activity planning, the canoe program at Green Lake, and serving meals at an overnight camp. He has accumulated more than 250 volunteer hours during the last two summers and was always willing to go above and beyond what he was asked to do, including staying past his scheduled shift. Clarke Gray has worked with Seattle Parks and Recreation and the Green Lake community for nearly 40 years. As operator of the Green Lake Boat Rental concession at the lake, he built the small brick building that is still being used today for the boat rental operation in exchange for a 10-year concession agreement. Clarke pioneered the use of small row boats, paddle boats, sail boats and paddle boards at the lake, and the boat rental remains one of the most popular attractions at the park. Beyond his successful business, Clarke has built community goodwill by offering many free hours of use of his equipment for the regattas at the lake and for summer camps for kids. In addition, he has allowed Parks’ Small Craft Center at Green Lake and the Mt. Baker Rowing and Sailing Center on Lake Washington to borrow and test his boats. He eventually sells the water craft to the City at cost. For more than 10 years, the Homeless Remembrance Project Committee has worked to create places of hope, healing and beauty in memory and in honor of homeless people. The committee is comprised of homeless women, faith leaders, designers, artists and other supporters in partnership with the City of Seattle. One of those special places is in a portion of Victor Steinbrueck Park in downtown Seattle where “The Tree of Life” sculpture by Clark Wiegman was dedicated in 2012. This is the first sculpture of its kind in the country to honor homeless people and the group has provided stellar leadership to enhance and preserve this park space as a place of gathering for all people. The committee raised $200,000 for the project. The tree and activities around it have activated a deserted area of the park, bringing numerous disparate communities together in new ways of understanding. This has included people who work at and visit the nearby Pike Place Market, homeless people, local residents, tourists, the faith community, people who advocate for homeless people, and city government. The Mt. Baker Boating Advisory Council has been supporting the Mt. Baker Rowing and Sailing Center for 30 years. As a volunteer organization within the Associated Recreation Council, the advisory council has committed countless volunteer hours to providing high quality boating activities to the public. Considering the center’s location in southeast Seattle, the council has worked hard to reach out to and include a wide diversity of participants, including youth, adults, seniors, underserved communities, and special populations. The council funds scholarships and offers free public programs to ensure that cost is not a limiting factor to participation. One example: in partnership with the George Pocock Rowing Foundation, the advisory council developed Rainier Valley Rowing, a free program that involves teens of color in year-round competitive rowing. Another free program, the Summer Boating program, provides community youth with free access to kayaks, canoes and other boats. The advisory council raises funds to operate this program at no cost to participants. One of its finest accomplishments was a project that expanded the center by 5,000 square feet. Over a period of 10 years, the council raised $2.7 million, mostly from small, individual donations and fund-raising projects. The group also obtained thousands of dollars of in-kind services for the project, including support piles and plumbing services. 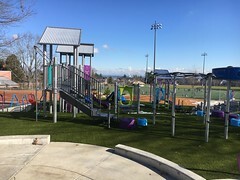 The expansion enabled many more people to participate in healthy recreation. In 2013, attendance in programs exceeded 36,000. 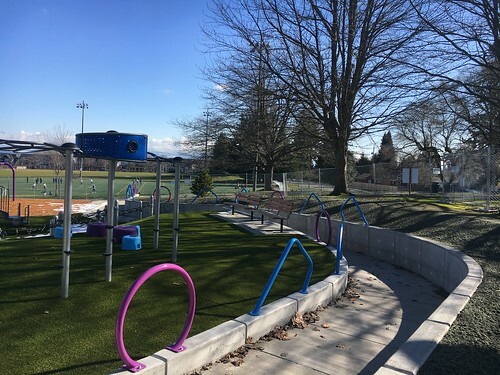 For more than 20 years, Seattle Children’s Hospital has partnered with Seattle Parks and Recreation on numerous programs and projects to make water safety a high priority in the community, benefiting thousands of people. As a result, more families wear life jackets, more children know how to swim and more parents understand the critical importance of this life skill. In particular, Children’s Hospital support has helped build awareness of water safety and scholarships for low-income children and children from various racial and ethnic communities. The hospital provided funding for promoting and marketing swimming lessons and water safety in multiple languages, a water safety brochure, an annual donation for swim lesson scholarships, donated life jackets for loan at public beaches, and discounted life jackets for sale. In 2012, the Public Relations team from Children’s Hospital filmed a 30-minute program for Spanish-language television station Univision at Medgar Evers Pool. The filming focused on swimming lessons with the goal of encouraging more families to participate in swim lessons and recreational programs. 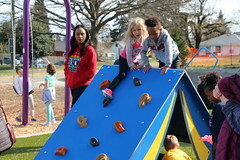 The 15-member Parks Legacy Citizens Advisory Committee worked for 10 months exploring and eventually recommending a sustainable funding model for Seattle Parks and Recreation. 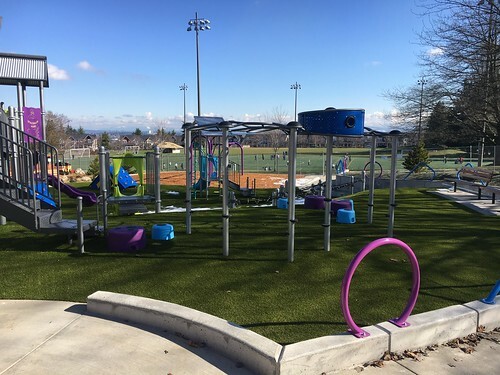 The Seattle Park District, approved by the voters in August, is a direct result of the Committee’s thoughtfulness and hard work. Committee members came to meetings well-prepared, having done often arduous homework, including reading and editing reports, reading a total of 794 emails and letters from the public over the course of the committee’s tenure, touring parks and facilities to gain a closer understanding of Seattle Parks and Recreation, and thinking through complex issues. As would be expected, there were differences of opinions, but the issues were always respectfully debated and ultimately resolved. The committee’s diligence and focus on the public good has led to sustainable funding for Seattle Parks and Recreation which will improve lives in Seattle for generations. A special acknowledgement goes to the co-chairs, Charlie Zaragoza and Barbara Wright. Jen Sonnichsen Parker and Klindt Parker of Parker Design House have been supporting the graphic design needs of the Denny Awards for the sixth year running. Since 2009, Jen and Klindt have been dedicated to ensuring that the graphic design of each year’s Denny Awards is unique and reflects the special qualities of that year’s award winners and ceremony. They are dedicated to producing a top-quality product, and always make time in their busy schedules to be the volunteer graphic designers of record for the annual volunteer awards. Months before the actual ceremony, Jen and Klindt meet with event organizers to learn more about that year’s venue and theme, and then go back to their offices and brainstorm ideas. They may present as many as six different graphic design options for organizers to choose from. They never skimp on professionalism or creativity because they are donating their services. Their services to Seattle Parks and Recreation are valued at nearly $28,000, but their contributions are priceless. Seattle Parks and Recreation is seeking nominations for the Denny Awards, which honor volunteer service to the city’s parks system. The deadline for nominations is Monday, Oct. 13, 2014. The awards will be presented at a recognition ceremony on Tuesday, Dec.9, 2014 at Rain Forest Pavilion at the Woodland Park Zoo. Our volunteers do everything from pulling invasive ivy and planting native trees in our parks to coaching kids’ sports to working as docents at selected parks to serving on various advisory councils and boards.